Everything you need to know to unclog that drain! Whether it is a troublesome toilet, a backed-up basement, or a stagnant shower, help is here to get things flowing again. Clogged or slowly flowing drains are among the most common home maintenance chores. The fact is we all depend on several drains functioning properly every day, so when a drain does begin to act up, it doesn’t take long to get to the top of the list. Not to mention most clogged drains are easily cleared with the proper tools, making this top-priority task one that is quickly crossed off. Proper equipment is essential for maintaining and clearing household drains. Homes should own at least one plunger for that rainy day, and active families will find a drain auger of some size of great help as well. These tools are easy to use and dependable for getting the job done, and all of them cost far less than a single service call from a drain professional. With any home improvement or maintenance, you want the right tool for the job to get things done properly. Most plungers are designed to work with a certain type of drain. 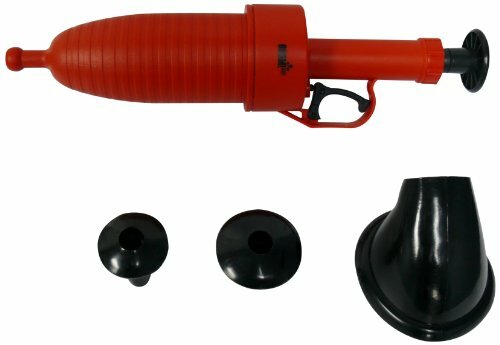 The standard issue plunger, with a suction cup shaped rubber bell on the end of a stick, is designed for plunging flat drains, like you might find in showers, floors, and utility sinks. That design is a poor choice for plunging clogged toilets or bathroom sinks though—the shapes of these drains and their basins require a differently shaped plunger. There are times when a clog is too tough for a plunger. Another common problem is something solid has been lost down the drain, and must be recovered before it is lost. 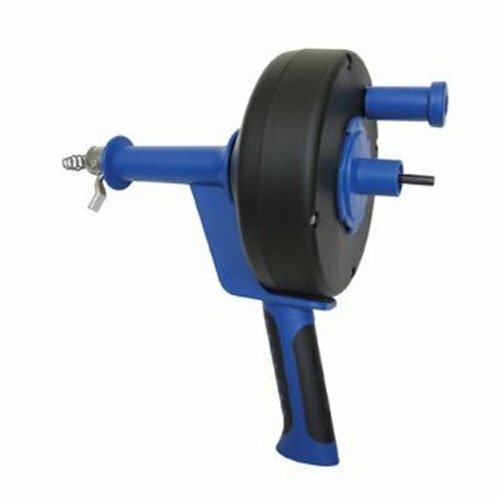 In situations like these, professionals, homeowners, and handymen will typically look to some form of handheld drain augers as the tool for the job. 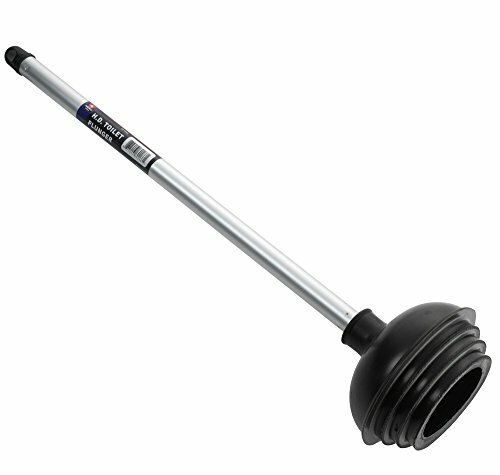 A clogged toilet should be cleared using a plunger or closet auger specially designed for the task. When the trouble has formed in the service lateral drain (the pipes running away from the home to the main utility or septic tank line) a motorized rooter or plumber’s snake will be used, which has the power to deal with dense clumps of roots and other solid obstructions. Learn how to deal with bathroom sink clogs, how to clean bathtub drains, and how to clear shower drains. 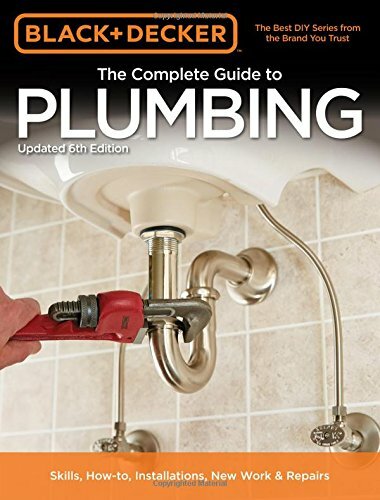 No other room in the home has as many different drains and plumbing connections than the bathroom. Each drain will clog in a different way, and will have to be cleared using the proper tools and techniques. Both plungers and drain augers have very different designs for use with toilets or sinks, just as one example. Drains in the bathroom, kitchen, laundry, and garage each can get clogged in their own Way. It often goes unconsidered until a problem arises just how many different drains there are in the home, and how dependent we are on them all functioning properly. Whether you’ve put up with a slow shower drain for long enough, or are here on more pressing matters, you’ll find help here to get things back in order. Cobra Pistol Grip Power Drum AugerHigh impact polymer housing. Clears small to medium household drains PermaFLOW Never-Clog DrainNever hassle with the tassle again. BAAM! Drain Blaster CleanerWorks on sinks, tubs, and toilets. Reusable, environmentally friendly, and easy to use. When clogs form in bathroom sinks, showers, bathtubs, kitchen & utility sinks, or shop & laundry drains—then the preferred tool will be a drain auger. Solve your clogged toilet problem today--Learn to unblock a toilet using a plunger, using a toilet snake, or using whatever is handy!